1. Vitamin Supplements. I’m eating healthier the older I get and the more I realize how diet impacts my running. However, with four on-the-go kids, some days it’s a challenge. I also understand the confusing research that says vitamin supplements don’t contribute to overall health improvement. The jury still seems to be out on this, with both sides presenting evidence in their favor. And we definitely don’t want to over-supplement. The best way to get all the vitamins we need is still through our diet. Regardless, each day I take one Men’s One-A-Day multivitamin and one 500-mg chewable vitamin C tablet to supplement my diet. I estimate the One a Day pills cost me $.08 each and the vitamin C tablets I get from Costco cost me $.03. That’s a miniscule expenditure for the potential benefits to my heart, immune system and energy levels that these pills claim they bring. If I can reduce future medical costs and avoid missing work due to illness, this seems to be a no-brainer to me. Even if the benefits are small, I’ll take them. 2. Flossing. I have epic struggles with this one. I’m awesome at brushing my teeth. However, like I used to be with exercise, I’m on-again for months with flossing, then off-again for the same length of time. This simple activity has many benefits that improve overall health and reduce the potential for expensive dental procedures as one becomes older. Obviously it reduces the buildup of plaque and reduces the risk of tooth decay and gingivitis. It helps with bad breath and aids in the whitening of teeth. Plus it helps remove those lunchtime sesame seeds or that piece of lettuce stuck between your teeth. Hate to show up at a job interview with that issue. The turnoff could cost you a position. Addendum: After writing this post, I ran across this video that shows the proper way to floss. Using the proper method (which it seems like I don’t) may require an additional minute or two. 3. Loud Music in Headphones. When I bought my first Walkman as a kid (remember those? ), my parents warned me about the damage listening to loud music could cause. I didn’t care. I turned up the volume anyway. Of course, now that I’m older, I’m telling my kids the same thing. But I’ve become interested in this for another reason – my running. I love listening to music while out on the road. Sometimes I need the burst of energy that one special song can bring (“Eye of the Tiger” anyone?). But today’s headphones are much different than the ones I grew up with. Mine were the foamy-mesh that fit on the outside of the ear. (Remember how that mesh ripped and disintegrated over time?) Today we have ear buds that fit right into the ear canal, putting the music that much closer to the inner ear and leaving less room for sound to diffuse into the air. We also have Beats by Dre headphones that cover the entire ear like a Princess Leia hair bun. As much as it bothers me to do so, I’ve begun to turn my music way down on long runs and run without it on the shorter runs. I don’t want to experience ringing in my ears or any type of hearing loss that can come from listening to music too long and too loud. And I definitely don’t want the medical bills that would follow. 4. Wallet in Back Pocket. I used to laugh at this until I did an experiment for two weeks and realized how much better I felt. 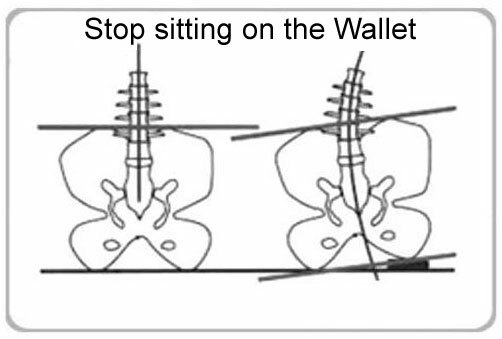 I have a really thin wallet, but I noticed a big difference in how comfortable I felt while sitting without a wallet in my back pocket. Question: What other activities could save thousands of dollars in future medical bills that only require 60 seconds or less? Next Post: Will You Still Love Me If I Blog For Money? Ah, I love that Seinfeld! I would also include washing your hands often. You wouldn’t believe how many people don’t. Yes, washing hands. Should have thought of that one. Wasn’t that another Seinfeld episode…Poppy not washing his hands in the restaurant? Great tips on the Vitamins and Flossing.. You will save yourself tons of money down the road by keeping yourself healthy now.. 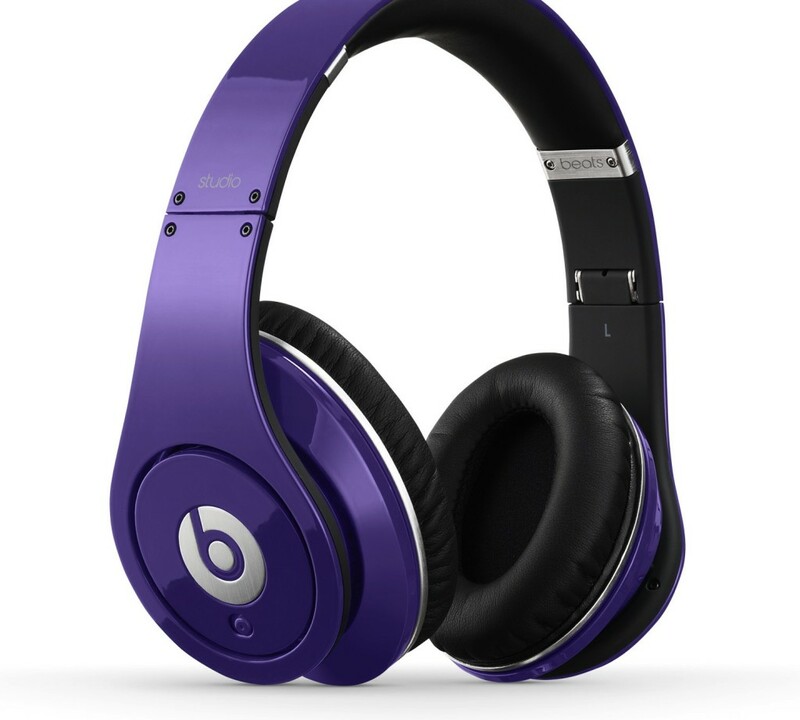 I am not sure that I would recommend “Beats” headphones as a frugal tip, however, as while they do sound great– they are pretty much the most expensive headphones ever made. Beats are definitely not for the frugal consumer. Think they start somewhere between $150-200/pair. But I’m amazed at the number of teens I see with them. We’ve been taking vitamins including probiotics for the last 9 years and we love the results. And I believe my husband would agree with you on the wallet thing. Whenever we get into the car he puts his wallet on the center console and in the winter he carries it in his inside coat pocket. I carried mine in my back pocket for years without ever thinking about it. That’s what men are supposed to do, right? Come to realize it may have been a source of the lower back pain I was suffering. Wow, that’s crazy about the wallet, I had no idea. I think my boyfriend carries his in his front pocket, but I’m not sure. Whenever he sits down he always dumps all the stuff in his pockets in my purse anyway! Great list. One that comes to mind is to drink more water! It doesn’t take much time to either grab a bottle or pour it from the sink, or order it from a restaurant. It’s an easy, inexpensive way to avoid lots of sugar. I run with my music WAY too loud. Heck, even when I’m at the coffee shop or working sometimes I turn it up pretty loud. It really helps me concentrate though the long-term effects are probably pretty bad. I’ve kept my wallet in my front pocket for years now, except I almost naturally put it in my back pocket every time I stand up. It sounds annoying but actually I barely notice myself doing it and I’m saving my back in the process. I’ve never tried the wallet in the front pocket. Mine’s pretty streamlined with only a few items in it so maybe that would work. 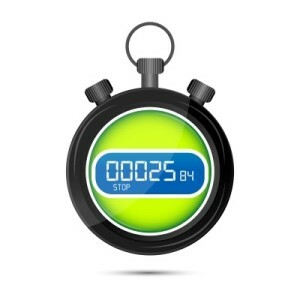 I like the way you have counted pretty small yet effective things in 60 seconds, It is impressive. I too hate loud music….. Thanks Rita! They are quick things we can do that can add up to a lot of savings. 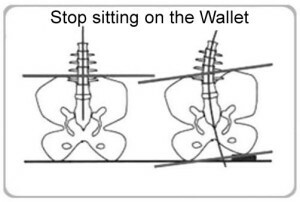 I have stopped sitting on my wallet for close to a year now and it has been great for my back. I have a bad back from playing hockey and now I don’t drive or work with my wallet in my pocket. It is great! I can’t get into the car anymore without removing mine. And when I get to work, it goes into a drawer in my desk until I’m ready to leave. Love the Seinfeld reference! That flossing video is a little intense. I actually floss twice per day, but not as thoroughly as that video suggests. Yeh…she was really into her flossing! Taking your lunch to work is a huge change Alexa, not only for eating healthier but also for saving money. When I started doing that several years ago I found it was saving time and I was being more productive because I didn’t have to leave work and go fight the lunch crowd. I have a minute gap between a couple of my back teeth and stuff is always getting caught in there. Think that would remind to floss more but it doesn’t for some reason.